Ever heard about a blogger scene in Viet Nam? It is there and it is for sure under threat. „Mother Mushroom“ aka Nguyễn Ngọc Như Quỳnh is one of the best known female bloggers and human rights defenders in Viet Nam. 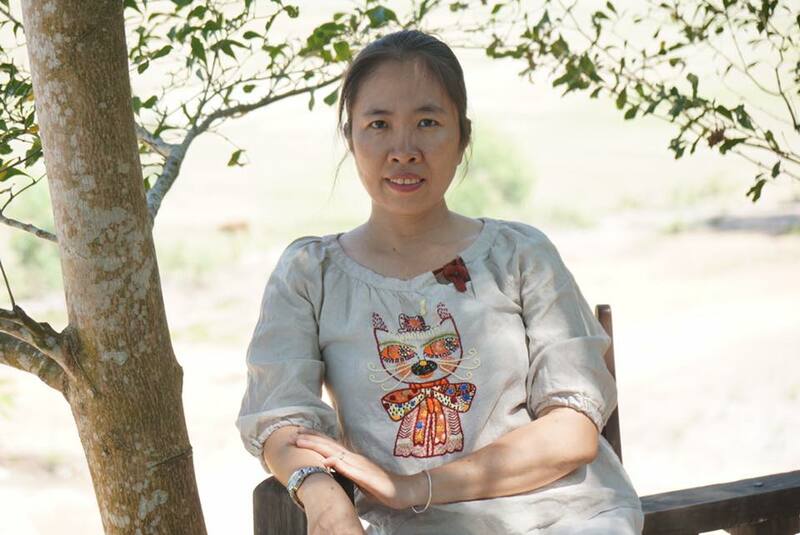 Last week, Quỳnh was arrested in the central province of Khanh Hoa under Article 88 of the Penal Code, which prohibits “conducting propaganda against the Socialist Republic of Viet Nam.” The crime is deemed a national security offence and carries a sentence of up to 20 years in jail. Under the Vietnamese criminal procedural code dealing with the investigation of so-called national security offences, Quỳnh can be detained incommunicado for at least four months. Zeid said incommunicado detention for such an extended period of time – particularly without access to family members and to legal counsel – is conducive to torture and may amount to torture itself, in violation of the Convention against torture (CAT), which Viet Nam ratified in February 2015. Other similar cases over the past year include the continued incommunicado detention of lawyer and human rights activist Mr. Nguyen Van Dai and his assistant Ms. Le Thu Ha, who were arrested in December 2015 under Article 88; the sentencing after almost two years of incommunicado detention of Mr. Nguyen Huu Vinh, also known as Anh Ba Sam and his assistant Ms Nguyen Thi Minh Thuy, in March 2016 to five years and three years in prison for “abusing democratic freedoms” under article 258 of the Penal Code,; and the sentencing of Mr. Nguyen Huu Quoc Duy and Nguyen Huu Thien An to three years and two years in prison respectively under Article 88 in August 2016. So, government in Viet Nam – Look out! We are watching you! We spread the word and expext the immediate release of all individuals detained in connection with these provisions. What is the point of commemorating invasion, slavery and exploitation? Vetoing while Aleppo descends into hell? Although it has been 24 years since the war in Bosnia and Herzegovina ended, this country still has no common law on memorials. Flying cars, a concept once ascribed strictly to Sci Fi novels and Steven Spielberg blockbusters, will in fact hit the market sooner than anticipated. BYkids teams up children from across the world with filmmakers in order to document global issues from their own point of view.